Fluke Corporation Plus is a suite of applications designed to help automate the operation and management of calibration facilities. 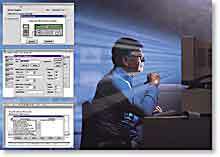 It performs automated calibrations, including computer-aided, closed-case and closed-loop calibrations on a range of test and measurement equipment. The software creates, edits, tests, and documents calibrations procedures. It also tracks asset information including calibration and maintenance history and status, reliability, users, and location and analyzes and reports asset information. The software makes the data available to other corporate systems and meets the requirements of quality standards.